Sheriff Murphy has served in law enforcement since 1983. During his tenure with the Hudson Falls Police Department, he served in every facet of the agency: Dispatcher, Patrol Officer, Patrol Sergeant, Detective, and as Deputy Chief of Police. 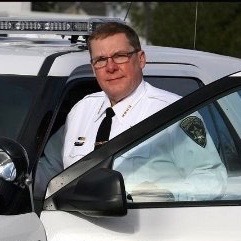 Upon his retirement from the Hudson Falls Police Department, Sheriff Murphy was offered a position as Deputy Sheriff and Training Officer with the Washington County Sheriff’s Office. He also served as the Accreditation Program Manager for both the Hudson Falls Police Department and the Washington County Sheriff’s Office. Sheriff Murphy is a proud lifelong resident of Washington County.